You will earn 9 Catt credits for buying this product. 12 HMC Heads offer advice to Heads of Departments on how to improve the management of their departments. Edited by Vivian Anthony & John M Moore. One theme emerging from this book and the large number of inspection reports on HMC schools is the central role of middle management in bringing about school improvement. If the importance of Heads of Departments has been undervalued in the past they are now placed firmly at the heart of lines of communication in the school. The policies worked out by Governors and the Senior Management Team have to be implemented at the departmental level. The Head of Department has to lead his team in finding the most effective ways of carrying out the plans. This book is part of the process of disseminating information. It points to help that is forthcoming from other agencies and draws on the findings of leading exponents in different fields of education. Keeping abreast of the publications of QCA and the Examination Boards, of OFSTED and the inspection services for independent schools, of the TTA and training practitioners, of the CEM Centre at Durham University and other schemes like the National Grid for Learning is no small challenge. The DfES will continue with its policy of ‘death by a hundred consultations’ but they cannot be ignored. 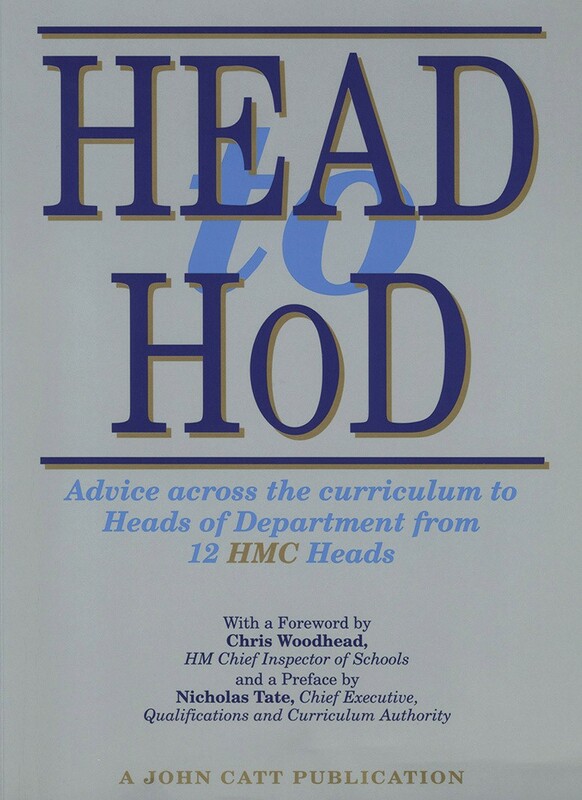 The purpose of this book is to pass on some of the wisdom and experience of twelve Heads who continue to struggle with the same issues which face Heads of Department on a regular basis. The author(s): Edited by Vivian Anthony & John M Moore. Contributors: John M Moore, Tommy Cookson, Bryan Collins, Graham Able, Christopher Jamison, Stuart Westley, Philip Evans, James Miller, John Robertson, Roy de C Chapman, Vivian Anthony, James Sabben-Clare.